Libreville is Gabon’s main metropolis that is rich in natural resources and is also a source of oil. The equator cuts right through the middle of the capital city causing sweltering heat and long days. Beyond the surf and coconut palms of the Atlantic coast lie swamps and lagoons. Farther inland, rolling hills are covered with dense tropical forest drenched by heavy rain. Most of Libreville’s rainfall drains into the Ogoue River. Gabon’s natural resources make it one of Africa’s richest countries. The refined oil from offshore rigs and minerals such as iron, uranium, and manganese help bring in most of the country’s wealth. The forested parts of Libreville also provide valuable timber for sawmills –blackwood, mahogany, and okoume, a kind of softwood used to make plywood. Anybody can get a flavor of the cosmopolitan way of life in the excessively posh clubs, nightlife areas and high-end stores filled with luxury autos. Nevertheless, Libreville can also be an intriguing vacation spot, and travelers flock to this lavish city, which is one of sub-Saharan Africa's priciest locations. Libreville is a coastal town where it is normal to experience a monsoon climate, including an extended downpour season along with a brief humid summer season. The most ideal time to visit this African city is during the arid but cold season from August until July and also in the short summer months of December through January. The Pointe Denis Beach is about 20 minutes away from the city center of Libreville. Here you will have the opportunity to bring your cooler for the day or spend a night in Boukarous Hotel. There are several small shops and hotels that offer weekend getaways where you will enjoy the traditional lifestyle of the jet set Libreville locals. There are lots of water sports activities here like quads and professionally run jet skis. This is the best way to spend a good weekend – make sure to bring along sun block creams and wide-brimmed hats to enjoy a day at the beach. It is far from the noise of the city and is a place where you can release all the stress of life. It’s a beautiful beach with white sand and clean, clear water. There are no cars and concrete parts of this area because the owner wants to maintain its natural, paradise-like impression. Even the hotels are designed in bungalow styles. The rows of coconut trees and palms adds to its natural look. There are several places in Pointe Denis where you can stay but wherever you choose, relaxation is certain. Pointe Denis Beach is along the shores of an adjacent island that’s faces Libreville City. Plan at least 30 minutes for a boat ride, and appreciate the sun and gorgeous surroundings. It is extremely well known among sightseers for water exercises like snorkeling, swimming, sculling and frankly, anything else you can imagine. From here, an unhampered perspective of Libreville's beautiful waterfront structures and impressive skyline is clearly noticeable. 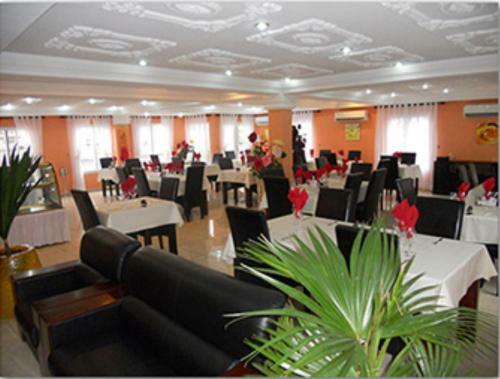 For tourists and residents, there is not much to do in Libreville, other than go to a restaurant. There is not even a movie theater, so it is natural that Pointe Denis attract many people looking to get away from the routine life in the city. The Pointe Denis water is clear, the sand is white and fine; it is a classic tropical beach. The boat usually takes off from Michelle, Marine, or Port Mole and the journey takes about half an hour. 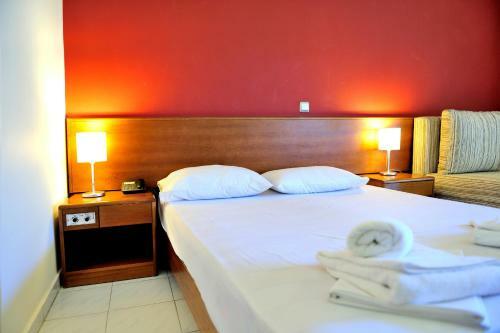 It is advisable to stay at least one night to enjoy the place and all its features. If you schedule your visit between the months of December and January, try to go out in the middle of the night. On the secluded beach which stretches for several kilometers from Pointe to the open sea, you can see the huge leatherback turtles coming from incredible distances to lay their eggs. It is a show not to miss! The huge turtles measure up to eight feet long. Watch as they dig a hole in the sand, lay eggs, cover and return to the sea with their last strength. It is a unique, natural, and impressive event. If you stay in February and March, you can also witness the freshly hatched baby turtles taking their small and slow steps to return to the sea. The Musee des Arts et Traditions du Gabon (Museum of Art and Culture) is one of the best places to see in Libreville that discusses its culture and history in full detail. In this museum, visitors learns a great deal about the different ethnic groups that live in Gabon. There are views and exhibits about the culture, clothing, and habitat. Particularly interesting are the many masks of the various ethnic groups located all around the country. It is a museum about the nation and its people that is designed to educate everyone about Gabon and its historic past. On weekdays, there are not very many visitors and the admission price is much cheaper. From the late 1400s, the first settlers (or colonizers from Europe) plundered Gabon for slaves for hundreds of years. Then from 1919 until independence in 1960, you will learn how it was ruled by France. French companies took over much of Gabon’s foreign trade during this period and even today links with France are still strong. This is why the country’s official language is French and the currency that they still use is Central African Francs. The museum stands near the sea and a visit to Gabon and Libreville is not complete if you don’t make a visit to the halls of this impressive museum. Although the L’Eglise St –Michel Libreville was recently built (in 1976), a visit to this great airy church is worth a visit especially if you take the trouble to call the day before and receive a free guide. Here you will have the opportunity to meet the friendly deacon of the parish who will explain some of the early anecdotes and facts about the church and the city. He will also lead you to all the interesting aspects of this place (originally carved columns, font, altar, musical instruments, etc. ), all with a smile. If you can attend a Holy Mass on Sunday morning, you will hear beautiful songs and an organized presentation of the gospel and the devotion of its faithful and local pilgrims. It is an essential historical point for Libreville. The St. Michel Church is a marvelous work of art and interior design. It is widely known for its 31 structures of wooden columns; vacationers are swayed to visit the congregation because of its architectural marvel. Tour guides say that a visually impaired man is said to have cut these sections. The creative segments are maintained and it is indeed an incredible sight that amuses tourists and fans of interior church art. The Church of St-Michel is one of the few places outside of the city and the surrounding beaches that is worth visiting in Libreville. These are all locally made (like the columns and the wooden icons) including some of the Biblical scenes. It is very different from other churches that collect fine Christian art that passed through Africa. It is highly recommended for tourists who enjoy the unique architecture of churches. The Marche du Mont-Bouet is the perfect place to find fabric, fruits, and vegetables. For the meat and fish varieties, you must not be too picky because the smell is very strong. The main marketplace of Libreville is like a labyrinth of shops where you can buy anything and everything you need. If the weather is not too hot you can spend hours exploring the market’s vast selection of shops and stalls, but you must be accompanied by a local guide if you cannot speak French (to make haggling easier). The Marche du Mont-Bouet is a public shopping complex fully stocked with shops, food, and loyal customers. Don't skip this busy territory on Saturday mornings. It is when enormous waves of individuals and traders come to buy, taking advantage of the low costs and recently delivered products from the other cities in Gabon. Everything and anything under the sun can be found inside the Mont-Bouet. Be careful when walking and haggling inside the market as swarms go back and forth and can quickly grab personal belongings when not paying attention. The georgeous structure of the Palais Presidentiel is the official residence of the current serving President of Gabon. It was established by President Bongo during his term of governance in 1970. 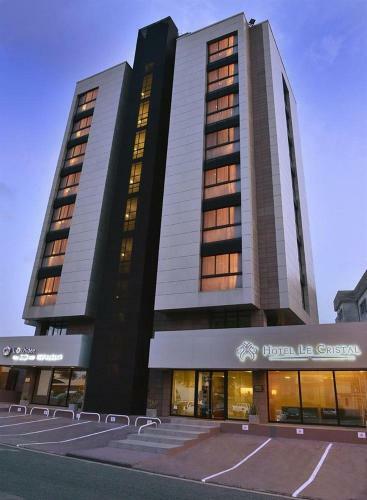 It is a magnificent building and architectural wonder in the heart of Libreville. Taking pictures is allowed only at the outside; guests are not permitted inside this heavily guarded government institution. It is not hard to find and can be easily accessed from the central part of the city. Its architectue represents the wealth of power in the city. It has a style and sobriety that is all its own. The beautifully manicured garden complements its imposing presence as the seat of power in Libreville. This vivid structure is occupied byThe Ministry of Forestry and Environment. It is a one of a kind symbol or representation of nature and the Gabonese society. Right now, it is fast becoming a favorite subject for photographers and tourist attraction on its own even if it cannot be explored inside. It is not uncommon to see guests regularly pose or make a stop for photograph opportunities with this special point of interest in Libreville City. Another momentous structure is The Ministry of Mines and Petrol Building. With its one of a kind shape and unique color choice, it is a standout amongst the most photographed structures in a city that does not have enough tourist attractions that travelers can fully explore. This government office is not open to the public. One ought not miss walking along the famous Boulevard de Triomphal. They are points of interest and government structures that are lined up along the paved roads and parkways. There are luxury inns, five-star hotels, world class and fine dining restaurants and convenient hypermarkets that are additionally a significant piece of the strip. If you intend to make a walking photo tour about the city, you can freely do so along this prominent avenue. This part of the city also houses other important government offices and embassies serving the country. You will find the French Cultural Center, Ministry of Mines and Petrol, Ministry of Forestry and Environment, Economic Ministry, Ministry of Forestry, Senate Building, the Central Bank and Museum - and that's only the tip of the iceberg. What sets this street apart is that it promotes Gabon’s best structures and architectural expertise. This famed boulevard in Gabon highlights the city in a positive light. The Arboretum de Sibang is a protected rainforest park situated about 5km from the city of Libreville. This well-preserved tourist attraction offers guided visits and showcases huge numbers of Gabon's native tree species. The city is known for its wealth of natural resources and is among the most noteworthy in Africa. Sibang Arboretum offers guests a new, more intensive perspective on how to investigate or appreciate nature. Do not miss checking this natural paradise in Libreville. The city's Ocean Side Boulevard has vast green vegetation all along the coast that is ideal for long walks for families and newly-wed couples. There are wooden benches, tall trees, tiny small parks and novel monuments and iconic sculptures that can be found along the cove. Local people and voyagers alike head to this sea side lane to unwind, ride their bikes, or to simply appreciate the scenic sights and wait for the dramatic sunset before the night falls in the city. The Prix Import offers wholesale and retail deals on most imported goods that Gabon traders are currently engaged into. The retail market covers items for Butcher's, Hardware, perfumery and personal hygiene, fresh food, and a far-reaching winery racks. The wholesale range offers a showroom for clients to review every product. It also carries a few famous international brand names for clothing, shoes, apparel, frill, hardware, design, nourishment and a whole lot more. Souvenir items from Libreville and Gabon can also be found in this shop. The French Cultural Center or the Center Culturel Francais de Libreville is the most ideal setting for the French musicals, shows, presentations, meetings and national events. Celebrations and shows, live concerts, and operas are additionally held in the core. It also has a built-in theater and film lobbies for its film festivals. The Gabon National Museum (or the Musée national du Gabon) is home to valuable Gabonese curios, potteries, and archeological finds. It has a vast accumulation of facial masks, models, carvings and crafts which are shown and kept in the exhibition hall. It is additionally a venue for display shows and social occasions for contemporary artists and the city. La Parisienne is probably the best pastry shop and restaurant in Libreville with really excellent traditional French cuisine dishes. It is located behind the central police station in the city. The famed croissants (butter, not margarine) are delicious too. The service is pleasant and well organized; what makes it truly unique is the big transparent glass where guests can peek and watch how they prepare the bread and food. In addition, the vendors are very familiar with their exquisite line of pastry products. The dining room is exquisite and can accommodate even large group of diners. As for the price, it is not a far cry from contemporary European prices. It is quite expensive, but the experience of fine French dining is one for the books. If you want a taste of Paris while in Gabon, do not pass up the chance to savor it on this favorite hangout and dining place in Libreville City. For a little of everything and the chance to visit an idyllic city in Africa, do not miss a visit to Libreville. It offers a variety of attractions and things to do for the seasoned traveler. It is also an ideal family holiday destination despite the fact that there is nothing much to see; but to discover its favored attractions is already a worthwhile experience while in the capital of Gabon.